GET SET FOR THE BEST THING THAT EVER HAPPENED TO YOU! The banned book is back! You’ve heard of it, now you can read it! Lover and hero, Jack Barron, the sold-out media god of the Bug Jack Barron Show, has one last chance to hit it big when he meets Benedict Howards, the power-mad man with the secret to immortality. 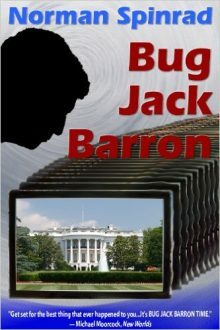 A Hugo and Nebula Award finalist — with an Afterword by Michael Moorcock — start reading now so you too can BUG JACK BARRON!